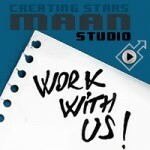 Home » MAAN Studio was hiring! MAAN Studio is interviewing candidates for filling in the International Product Manager position. We are looking for young people interested in a rewarding job, able to work on a management position. Our key requirements are: great people management skills, possibility to sustain an irregular but strict working schedule, ability to work under pressure, maintaining a serious relationship with everybody involved in the project. Perfect English talking/writing skills are a must. Please note that only applicants from CONSTANTA, ROMANIA will be considered. You will be joining a professional team with high level of expectancy regarding work and you will be rewarded in consistency with your performance. Carefully fill in the JOB APPLICATION FORM here and we will contact you. Thank you for sending your CVs. The position has been filled.